Thanks to the Digicel network, staying connected with friends or family through video & VOIP calls (such as WhatsApp / Facebook Messenger) or having access to the latest news, music or movies has never been easier. However it's important to realize that these activities use your data when you are not on Wi-Fi - even if you're the one receiving a call or viewing someone else's Facebook Live stream. Detailed below are some industry guidelines on data usage per minute, to keep you informed on how to get the best from your plan. **Music and Video data usage will vary depending on the quality at which you choose to listen / watch. Indicative rates here are for standard bitrate / definition. Step 1. 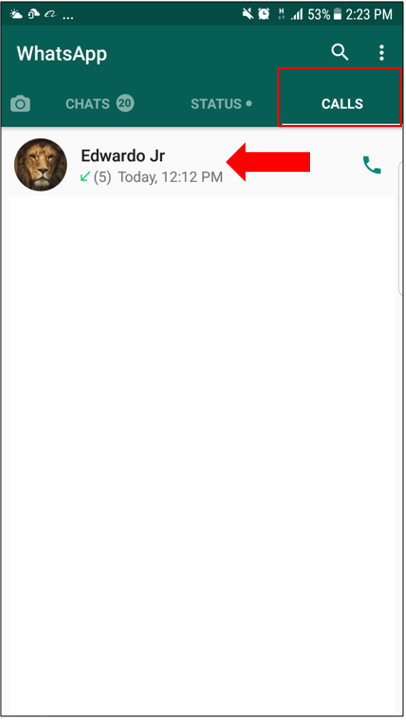 In WhatsApp, Select 'Calls' and select the call to see details. Step 2. Data usage for each call will be displayed. Step 2. 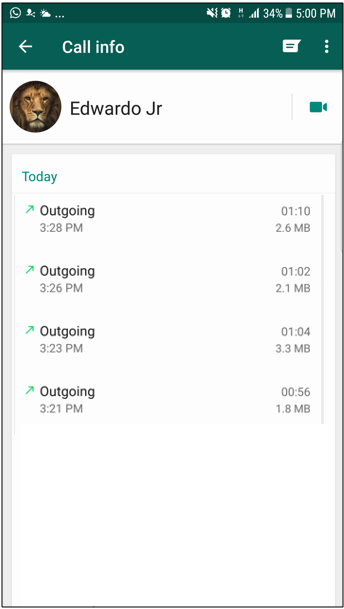 Click the button to see the data consumed during the call(s) to this contact.